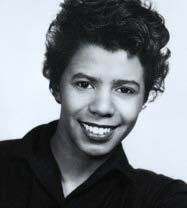 Lorraine Hansberry (May 19, 1930 – January 12, 1965) was an American playwright and author. Hansberry grew up in an environment that set the stage, so to speak, for her best-known work — A Raisin in the Sun, the first play by an African-American woman that was staged on Broadway. 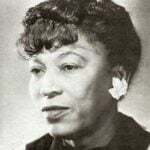 She wrote political essays and worked for the African-American magazine Freedom. 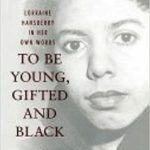 Hansberry was also part of and wrote for the Daughters of Bilitis magazine The Ladder, mostly articles on social issues of race and gender. 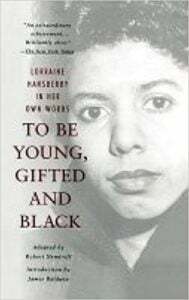 At the age of 29, Hansberry became the youngest American and the first African-American playwright to win the New York Drama Critics’ Circle Award for Best Play. 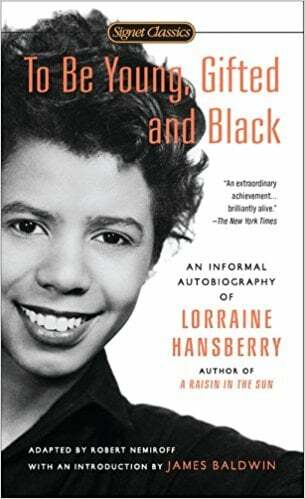 Lorraine Hansberry was the youngest of four siblings, born to father Carl Augustus Hansberry, a successful real estate broker and social activist, and mother Nannie Louise, a driving school teacher and ward committeewoman. Hansberry grew up surrounded by a multitude of prominent black intellectuals. W.E.B. Du Bois and Paul Robeson were frequent guests at the Hansberry household. Hansberry’s uncle, William Leo Hansberry, founded the African Civilization section of the history department at Howard University. 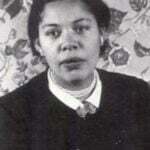 Hansberry also had many widely known relatives in her family line. Most notable relatives include director and playwright Shauneille Perry, actress Taye Hansberry, and composer and flutist Aldridge Hansberry. In 1950, at the age of twenty, Hansberry left college to pursue a career in writing in New York City. The following year, she joined the staff of Freedom, a progressive black journal headed by civil rights activist, singer, and stage performer Paul Robeson. Her work included, but was not limited to, the U.S. civil rights movements and topics of global struggles against colonialism and imperialism. Hansberry found particular interest in examining global and political struggles through the lens of female participants. On March 11th, 1959, A Raisin in the Sun became the first play to be written by an African-American woman to be produced on Broadway. 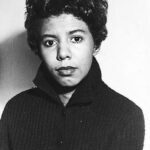 Hansberry, at age 29, became the youngest American playwright and only the fifth woman to receive the New York Drama Critics Circle Award for Best Play. Over the course of the next two years, A Raisin in the Sun was translated into 35 different languages and was performed all over the world. Hansberry was an activist for gay rights and wrote about feminism and homophobia, contributing letters to The Ladder, the first nationally distributed lesbian publication. When working for The Ladder, which was the first subscription-based magazine for lesbians, Hansberry wrote anonymous letters about her private thoughts and lifestyle she kept hidden from others. They hint at the possibility that she may have had relationships with women. 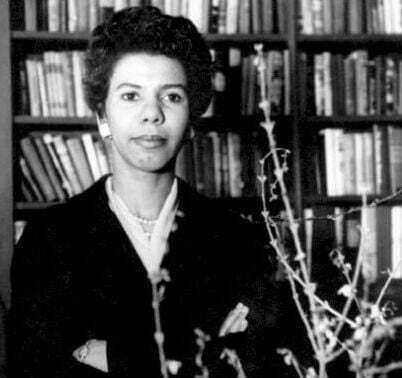 On June 20th, 1952, Hansberry married Robert Nemiroff, a Jewish publisher, songwriter, poet, and political activist. Although they eventually divorced a year before Hansberry passed away, Nemiroff remained in Hansberry’s working orbit, and became her literary executor. 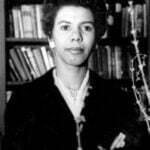 A heavy smoker her entire life, Hansberry was diagnosed with pancreatic cancer in 1963. After two unsuccessful operations, Hansberry passed away in 1965, the same evening as her play The Sign in Sidney Brustein’s Window ran its 101st, and final performance. Hansberry’s ability to address social and racial issues in her writings made her stand out and impacted the world of arts and entertainment and beyond. Having died at the age of 34, what she accomplished is impressive. She’s still recognized for her strong and passionate work, and A Raisin in the Sun is still staged regularly. As previously noted, Hansberry’s ex-husband Robert Nemiroff became the executor of her literary estate after her death in 1965. He gathered her unpublished writings and adapted them into a stage play To Be Young, Gifted and Black, which ran off Broadway from 1968 to 1969. In 1969, the collection of autobiographical writings by Hansberry that formed the basis of the play — letters, journals, and interviews — were gathered and published as a book of the same title. 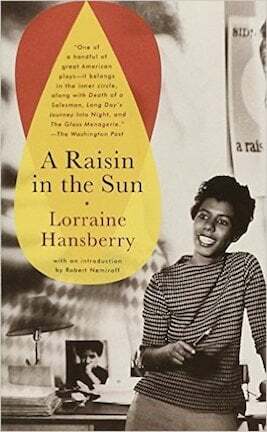 It takes the reader from Hansberry’s early life in a Chicago ghetto, though her college days, and beyond into the creation of A Raisin in the Sun, which she wrote while still in her twenties. The book also touches on her marriage, her commitment to race and gender issues, and ends with her battle with terminal cancer. 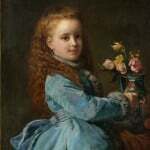 Though Nemiroff added minor changes to complete her play Les Blancs, it’s considered one of her most important works, though it initially received harsh criticism. Set in Africa, it addresses the tragedy of late 19th and early 20th century colonialism with the use of dance and music of African cultures. The Drinking Gourd/What Use Are Flowers?